With millions of Americans traveling more than 50 miles during the upcoming Thanksgiving holiday weekend, it’s a good time to put some best practices into play to keep your journey as safe and stress free as possible. Travel light: If you’re headed home just for the long weekend, there’s no need to check your luggage. Use carry-on baggage only, but keep in mind that many other travelers are probably planning to do the same thing. Your best bet might be to try and pack everything in a backpack that will fit under the seat in front of you. Charge all your devices: Traveling on Thanksgiving Day may take longer than expected, so make sure all your gadgets are fully charged before you depart. There’s nothing more annoying than getting on a train or plane and then seeing your phone power down. Alternatively, consider picking up a portable charger. Prepare yourself for the airport: Airlines allow you to check in online 24 hours in advance of your flight so make sure you do it to avoid some of the lines. You’ll still want to give yourself extra time since security lines will likely be long. If you need to check a bag, definitely budget more time as the airport will be busy. Don't forget about high-tech options. You can save your online boarding pass to Apple Wallet, and smart luggage is a new innovation where you'll always know where your suitcase is since it has a built-in tracker that connects right to your phone. 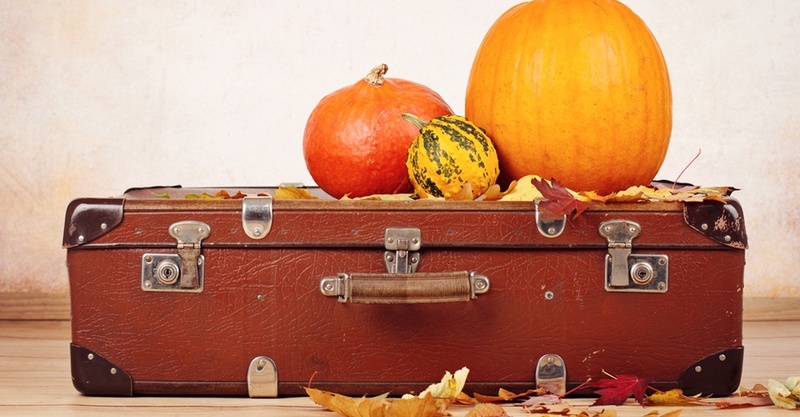 Manage your expectations: One of the most overlooked Thanksgiving travel tips is managing your expectations. As mentioned, millions of people will be traveling; pack some snacks or something to keep you entertained when those inevitable delays come. The Washington Post reminds travelers to anticipate full garages and parking lots at the airport. Some airports allow you to book a spot in advance through apps like SpotHero or AirportParkingReservations.com. Whatever your holiday plans, all of us at HSI wish you and your family a very happy and safe Thanksgiving! HSI Thanksgiving holiday hours: Our offices and warehouse will be closed November 24-25, 2016. Orders placed after Noon (Pacific Time) on Wednesday, November 23 will ship on Monday, November 28, 2016.